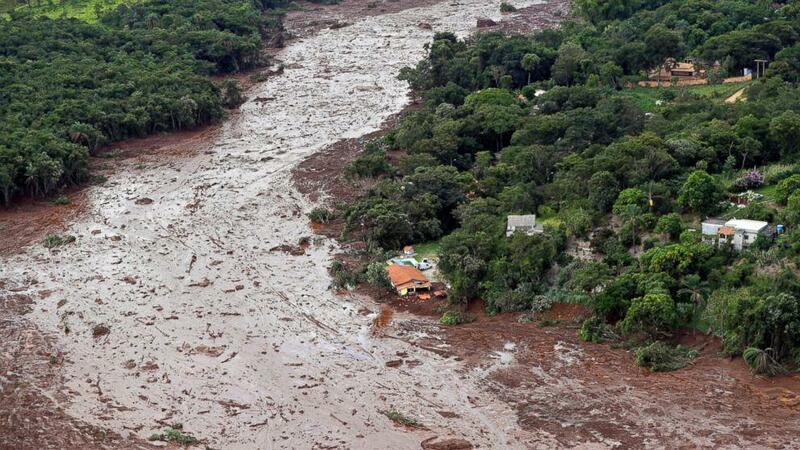 RIO DE JANEIRO, Feb. 2 (Xinhua) -- The death toll from the collapse of a tailings dam in Brazil's southeastern state of Minas Gerais climbed to 121, with 226 still missing, the state's fire department said Saturday. A total of 192 people were rescued, while another 395 whose whereabouts had been unknown, were found, the fire department said. On Friday afternoon, several objects were identified in the area and Saturday morning firefighters began excavating the area, he added. "This was a huge breakthrough, very important for the search parties. We estimate that in the area of the dressing room there is a large number of victims," said Aihara, adding that in some spots the sludge and mud are 20 meters deep. The sludge and mud buried everything in its path and destroyed nearby communities, as well as the mining company's administrative center and cafeteria.